Michelle Sherman founded MichRx Pharmacist Consulting Services, Inc. in 2005. MichRx Pharmacist Consulting Services, Inc. is a top provider of innovative services and solutions for Pharmacists who want to grow and expand their businesses and focus on specialty niche markets such as HIV/AIDS. The mission of the company is to work with pharmacists to find their specialty niche and make their business profitable and marketable, while maintaining an environment of excellence to the health care of their patients. The company is committed to providing cutting edge, quality coaching, training and consultation services to pharmacists and corporations. Ms. Sherman is a nationally recognized HIV Specialist Pharmacist practicing in Orange County, California for over eighteen years.She has experience and expertise in building profitable specialty pharmacies. Michelle is a published author of the book "Saving Lives: The Role of The Pharmacist in HIV"
Ms. Sherman obtained her Bachelor of Pharmacy degree from the University of the Witwatersrand School of Pharmacy, Johannesburg South Africa. She moved to California in 1987 and has been involved in the HIV/AIDS community for over eighteen years. Ms. Sherman is also certified in the following areas: Dyslipidemia from American Pharmaceutical Association and Immunizations from the California Pharmacists Association, and has completed the American Society of Consultant Pharmacists HIV/AIDS Pharmacotherapy Traineeship, is also a CHEK Holistic Lifestyle Coach IIl and Certified Metabolic Typing Advisor l. Michelle is credentialed by AAHIVM as an HIV Expert. American Pharmacists Association, California Pharmacists Association, Orange County Pharmacists Association, American Society of Consultant Pharmacists, the American Academy of HIV Medicine. Pharmacist of the year for PayLess Drug Store- 1991, 1992 and 1993; Member of the Board of Directors of the Orange County Pharmacists Association since 1992 in the capacity of chairperson of the HIV Task Force; President- elect of the Orange County Pharmacists Association in 1995 and President in 1996; Local Pharmacy Association of the Year Award for 1996 awarded by the California Pharmacists Association and Orange County Pharmacists Association Dutch Hofstetter Community Service Award for 1999. Awarded the first Advancement of Pharmacy Specialties Award in February 2001 by the California Pharmacists Association. Nominated for Innovative Pharmacist of the year award for 2002 by the California Pharmacists Association, Certificate of Special Congressional recognition presented by Congresswoman Loretta Sanchez in 2004 & 2006, and Women who make a difference in Orange County with recognition from State Senator Joseph Dunn, the California State Assembly and Orange County Supervisor Lou Correa. 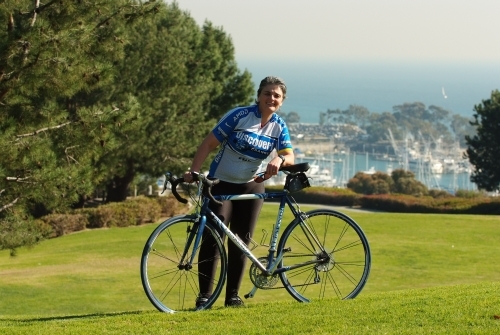 Volunteer at Shanti Orange County for over eighteen years; Current Board member Shanti Orange County Ms. Sherman has also participated in four California AIDS rides, two as a rider and two as a member of the medical crew as well as a Roadie on the AIDS Lifecycle. Ms. Sherman has also participated in several research studies which have been posters at the XIIIth World AIDS Conference, Durban, South Africa 9-14 July 2000 and the 40th ICAAC Conference, Toronto, Canada September 17-20 2000. Find Out More From MichRX Consulting And Get Started Today! 8 Deadly Mistakes To Avoid When Building Your HIV Pharmacy.